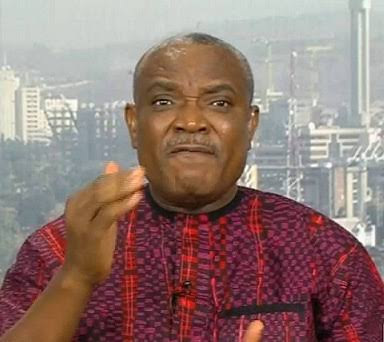 The Senior Special Assistant to President Muhammadu Buhari on Prosecution, Chief Okoi Obono-Obla has said the call by the leader of the Indigenous People of Biafra, IPOB, Nnamdi Kanu and others for referendum was a wasted effort, and without sense. Speaking with The Sun, the Presidential aide noted that restructuring would not solve the myriad of problems confronting the nation. He said, “The demand for a referendum with regards to Biafra is a constitutional impossibility. “It is a legal and political impossibility. There is no provision in the constitution of the country or any other law that provides for a part of the country to break away. “It is a nonsensical demand. Biafra ended on the January 15, 1970. I think the agitators are just expressing their rights to freedom of expression. Noting that agitators are just expressing their freedom of speech, the presidential aide said they are just wasting their time on the call for referendum. He said, “The international law does not take precedence over the Nigerian constitution. If you want to ratify any treaty or international convention, the National Assembly has to approve it. “You cannot begin to use the international law to deal with municipal, local and national issues.